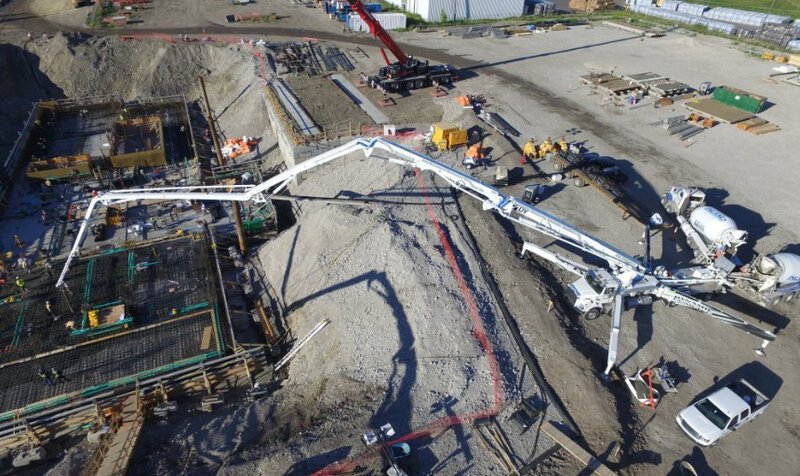 When it comes to large-scale pours on commercial construction sites, few concrete pumps can match the productivity and versatility of the DY Concrete Pumps 57-meter concrete boom pump. Built by manufacturers known for innovation and advancement, this solution for reach concrete pumping is the longest and highest performing for medium to large projects. You benefit from the high-volume pumping you require along with the ability to deliver materials to tight spaces and elevated positions. 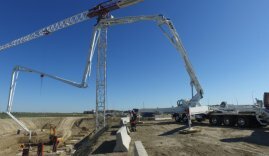 Get in touch with Dynamic Concrete Pumping, Inc. for more information on our 57-meter concrete boom pump and our reach concrete pumping services. Contact us by filling out our online information form to request assistance from a live representative. This lightweight design (under 94,000 lbs) is mounted on a 5 axle chassis. 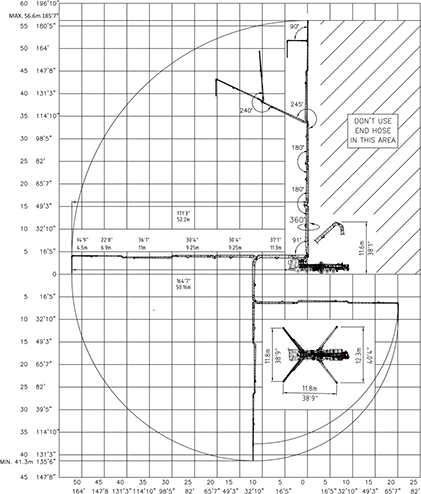 The 6th section of the 57S-6RZ boom is 4.5 meters (15ft.) long, designed to allow the ability to reach three floors higher than any other 57 meter boom on the market when pumping elevator and/or core walls prior to requiring crane and bucket placement. The 6th section combined with the 360° rotation pedestal, and operator friendly HBC radio remote controls, creates a high performance big boom pump that provides higher pump utilization. The DY Concrete Pump 57m is THE pump choice for large scale pours.